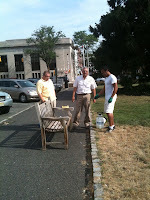 On Tuesday, August 23, 2011 about 20 Westfield Area Y Leaders In Training campers volunteered to clean up the area in the municipal parking lot #5 just outside of Starbucks and Just Bead yourself in an effort to help beautify the town, with soil donated by Williams Nursery and 2 butterfly bushes donated by New Jersey School Age Child Care (NJSACC). Under the direction of Diane Genco, NJSACC Director, Jake Barrow and Austin Graham prepare soil for Butterfly Bushes near Starbucks. In addition to major efforts from Keller Williams and Williams Nursery, we would also like to thank Diane Genco (butterfly gardening and educational programs and efforts), The Department of Public Works has stepped up their efforts, many landscapers have done special gardens with their clients this year (namely Scapeabilities & Craig Stock Landscaping), The Westfield Y Leaders in Training Campers helped with weeding by Starbucks and on South Avenue, Westfield Newcomers Club weeded the 9-11 Memorial, spread mulch and planted other materials in June, Rake & Hoe takes care of several gardens around town including Shadowlawn Park, the garden behind the North Avenue Train Station and others, Garden Club of Westfield takes care of the seven planters on the corners of Elm & E. Broad as well as several other gardens, Union County Master Gardeners does a lot of educational programs and has many gardens around including at the Miller-Cory and at Trailside, NJ Transit has put additional focus at the train station with maintenance items, Caffrey Tree Service donated their services to trim the trees on Central Avenue underpass up to Cacciola and a few along South Avenue, many merchants purchased our flowering baskets of Dragon-Winged Begonias and variegated ivy and maintain them in front of their stores, most of the elementary schools have children’s gardens and have incorporated educational programs with their gardens), The Green Up Crew assisted with weeding and spreading mulch at the South Avenue Train Station, The staff of Eileen Fisher has been helping us with watering the flowers we placed in front of the Ferraro’s site. Sherry and Daniel Cronin have been very busy the several weeks helping with graffiti removal, weeding, watering and many other maintenance items around town. Warren Rorden and Rudy Caprario have been outstanding volunteers who have pitched in to help with several weeding and maintenance projects. Warren along with the Rotary Club of Westfield has been instrumental in the Peddles for Progress bicycle and sewing machine collections for the past many years. The Girl Scouts and the Boy Scouts have always done admirable service projects. Star Painting refurbished the benches downtown. Craig Stock Landscaping weeded and cleaned the 9/11 memorial. The Westfield Inn contributed rooms for the judges stay. The DWC committees have also been very active this year particularly with design and historic preservation projects around downtown. Beautiful Store Fronts in Downtown Westfield! The Downtown Westfield Corporation (DWC) is proud to award Meeker’s Florist, and Robert Scalera the owner of strip of sister restaurants, Theresa’s, Mojave Grill and Isabelle’s American Bistro, for their “Beautiful Store Fronts” on behalf of the Westfield in Bloom campaign. Their participation with Westfield in Bloom and efforts to beautify the downtown area do not go unnoticed. After last year’s local contest, the DWC has awarded these downtown businesses for their outstanding achievements. Located on South Ave, Meeker’s Florist is a European design flower shop that offers a variety of fresh and silk floral arrangements and specializes in hand-tied bouquets and custom designs for weddings, showers, receptions, funerals and other special events. 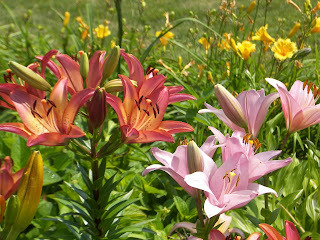 The front lawn of the flower shop is filled with large blooming plants and flowers of all types and colors. This rich display of greenery demonstrates their floral design expertise. The sister restaurants, Theresa’s, Isabelle’s American Bistro, and Mojave Grille, that line Elm Street are adorned with hanging basket flowers and decked with beautiful planters. Their attractive store front area creates a calm and relaxing ambiance. As a result, dining outdoors has become popular with these locations. Whether you’re in the mood for Mexican, American classics or Italian and American Southwestern, any of these mouthwatering options are sure to satisfy. Westfield's Pride Has Not Stopped Blooming! 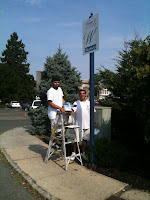 With the 2011 Westfield in Bloom tour behind us, efforts to keep the town beautiful are not over. The on-going beautification process is what keeps Westfield blooming throughout the entire year. 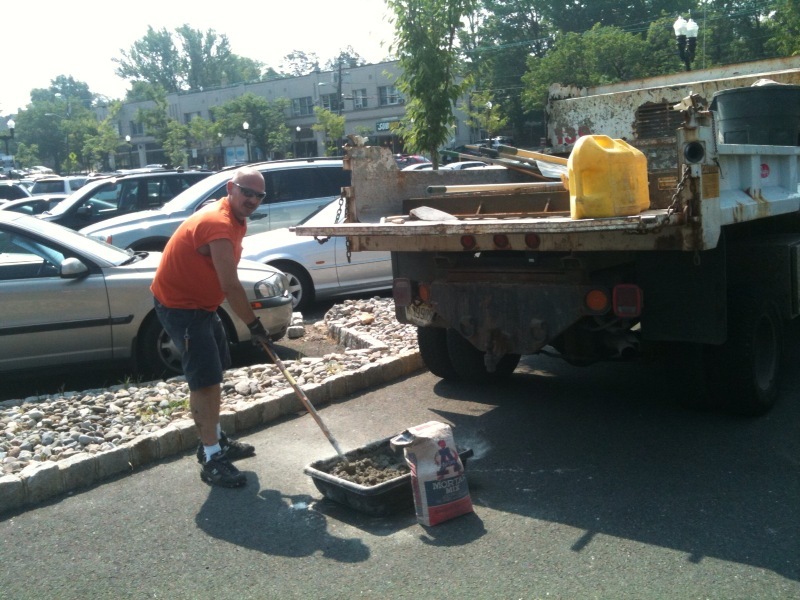 The Department of Public Works (DPW) exemplifies why our town is a ‘great place to be’. 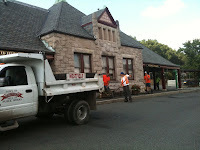 Early this morning DPW workers patched asphalt and the walkway areas at the North Avenue Train Station. 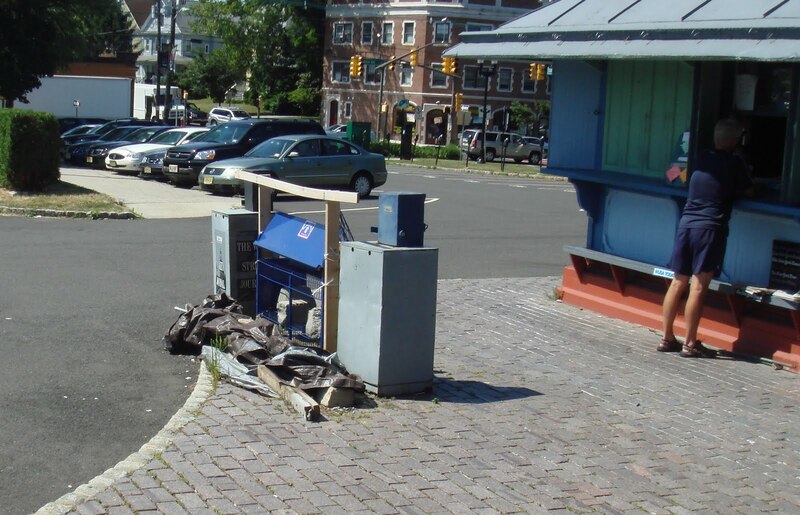 The upkeep of the downtown is extremely important, thank you DPW! Your work surely does not go unnoticed. For the judges to fully experience Westfield a section of the tour was dedicated to the exhibition of residential homes. With all of Westfield’s fine homes and gardens, Sherry Bliwise’s is definitely at the top of the list. An extremely hospitable gesture, Sherry welcomed us into her home with open arms…and cookies. 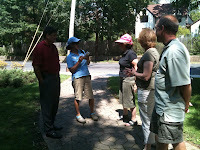 While touring her property even the judges couldn’t hold in their excitement and love for her work. Sherry’s expertise leaves not an inch of her vast acre property untouched. The creative and strategically designed landscape is no fluke. Her precise placement and areas dedicated to specific plants creates a unique and organized look. Sherry loves and spends a lot of time working on her masterpiece. Furthermore, her knowledge with horticulture enables her to correctly identify each and every plant and flower on her property. Her obvious passion for gardening only made the visit all the more exciting. 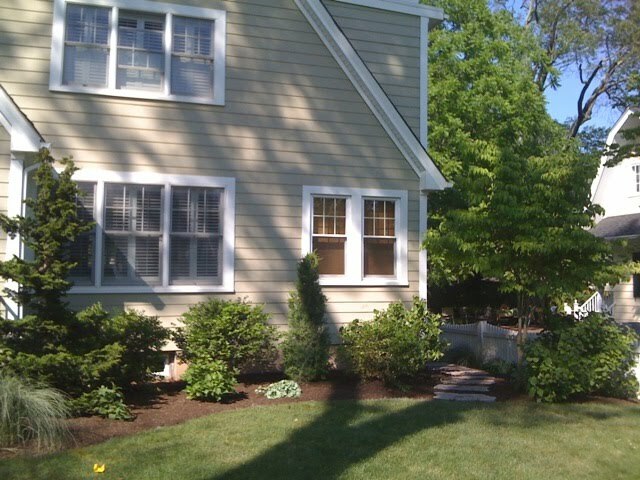 Thanks Sherry for showing us your beautiful home! Left: America in Bloom judges, Billy Butterfield and Melanie Riggs, and Williams Nursery owner, Dave Williams, meet with Rake and Hoe club members, Gayle Lechner and Irene Greenstein, to tour through Shadowlawn Park. Teaming up with the Rake and Hoe Garden members, a part of the Westfield in Bloom tour this year shed light on the hard work the club executes throughout the year. 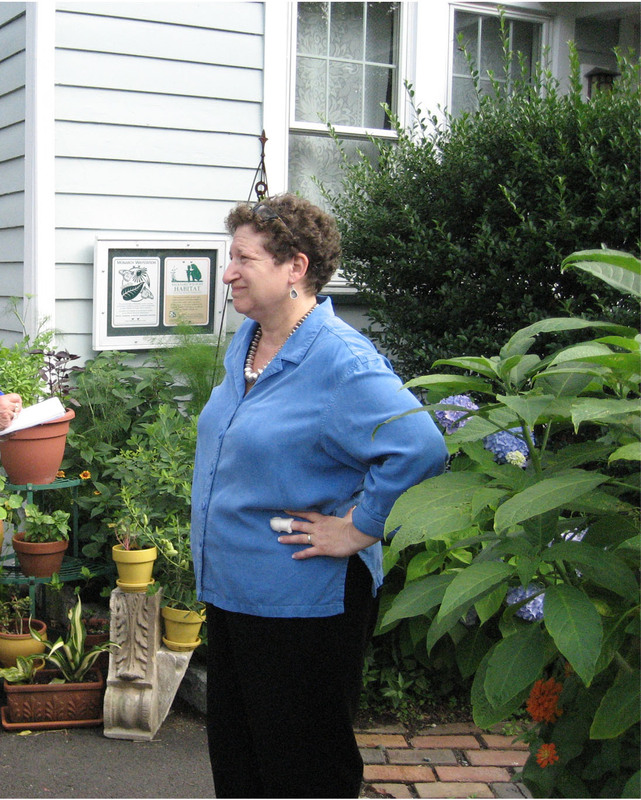 Rake and Hoe club members, Gayle Lechner and Irene Greenstein, were kind enough to guide us through Shadowlawn Park and a fellow club member’s backyard garden. In addition to maintaining the upkeep of the park weekly, over the course of the year the club hosts many events such as “Deck the Halls”, project “Planting Sunshine”, and have even published their own cook book. Federated with the National Council of State Garden Clubs, and the Garden Club of New Jersey, the Rake and Hoe Garden Club of Westfield, has between 50 and 70 members all of whom share one thing in common: a love of flowers and gardening. 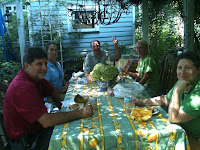 Above: Taking a lunch break during the ‘Westfield in Bloom’ tour America in Bloom judges Billy Butterfield and Melanie Riggs, Williams Nursery owner, Dave Williams, and DWC intern, Sarah Hoffman, join Diane Genco in her fully bloomed garden. The 2011 Westfield in Bloom tour, which took place August 1-2, incorporated aspects of both the downtown and residential areas. With this year’s theme of “Attracting the Butterflies”, it was most appropriate to show the judges where the inspiration originated. Diane Genco, whose backyard is a registered Monarch waystation, opened her home to the tour. Her maze-like garden offered a surprise around every bend. As you wander into the depths of the seemingly never-ending garden, exotic plants, flowers, and trees surround you as beautiful butterflies flutter overhead. 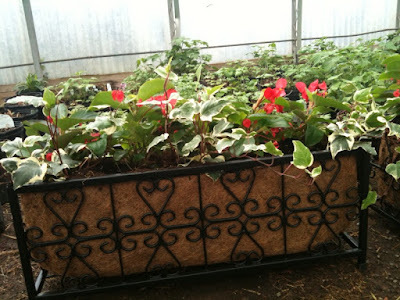 Nevertheless, the true treasure harbored within the garden lay no bigger than a speck in plastic boxed containers. With efforts to fill not only her backyard but the entire town with the beautiful creature, Genco raises, tags, and documents the lives of Monarch butterflies. After daily inspections of plant and flower leafs (where monarch eggs are found) Diane collects the eggs and protects them in a plastic container. Additionally, she sprays the eggs with a special disease resistant chemical to keep the butterflies healthy. With over 250 species, butterflies serve our environment in many ways. Therefore, the protection of these magnificent creatures is essential. Aside from pollination, they are also good indicators of ecological quality of a habitat. In the larvae phase, they are an important part of the food chain. These butterflies also serve as pollinators for Westfield’s plant life. The presence of these butterflies throughout town is aesthetically which flutter joy throughout the town. 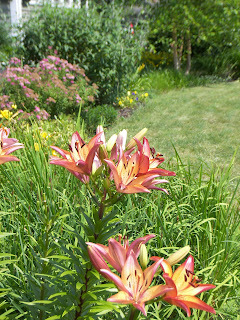 A true treasure, Diane’s monarch waystation brings a unique factor to the town. Her gardening expertise and magnificent backyard (and front yard!) garden left the judges in awe. Her hard work and extreme dedication was something we were very proud to show off. Thank you Diane for opening your home and exhibiting some of the fabulous work you have done! In preparation for the judges’ arrival the downtown area was cleaned until it shined. Because of the harsh winter we have experienced, the metal benches at the Korean Memorial downtown have deteriorated. Dan Cronin was on the job. 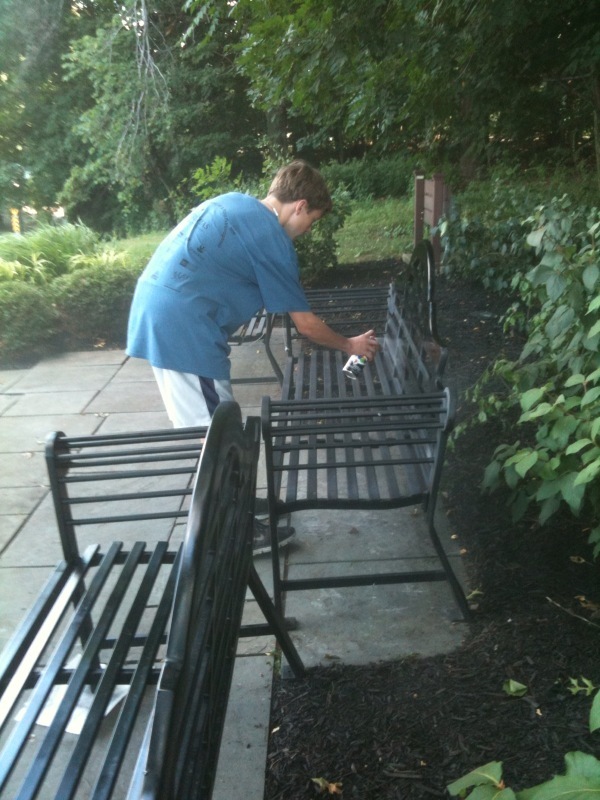 He painted a new black coat over the chipped and damaged benches to give them a new and clean look. 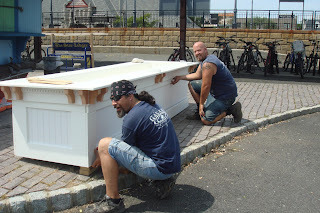 Thanks Dan, the benches look wonderful! 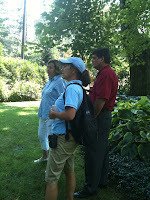 The America in Bloom (AIB) judges are finally here! After the all the town’s hard work and dedication, it’s time to show them what Westfield is made of. Judges Melanie Riggs and Billy Butterfield will score Westfield according to eight criteria; tidiness effort, environmental effort, community involvement, heritage preservation, urban forestry, landscaped areas, floral displays, and turf and ground covered areas. 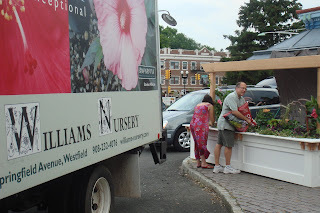 A tour involving these eight criteria, conducted by co-leaders, Sherry Cronin of Downtown Westfield Corporation and David Williams of Williams Nursery, will take place August 1 and 2 and show the judges the greatest areas of Westfield, NJ. Historical sites such as the downtown district, the Reeve House & Cultural Center and the Miller-Cory House Museum, residential and downtown areas, town parks and clubs, and local gardens will be exhibited. 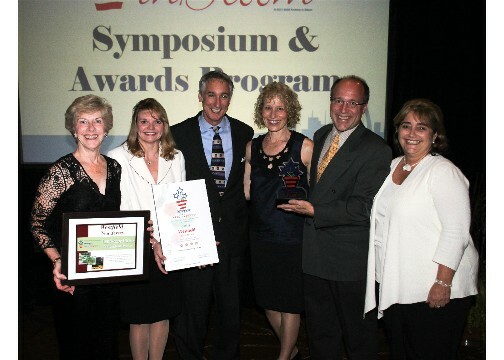 The America in Bloom Symposium & Awards Program will take place October 6-8, 2011 where results will be heard. Although Westfield hopes to top last year’s success, we have already won. The many improvements the town has seen as a result of participation in this competition are an award in itself. 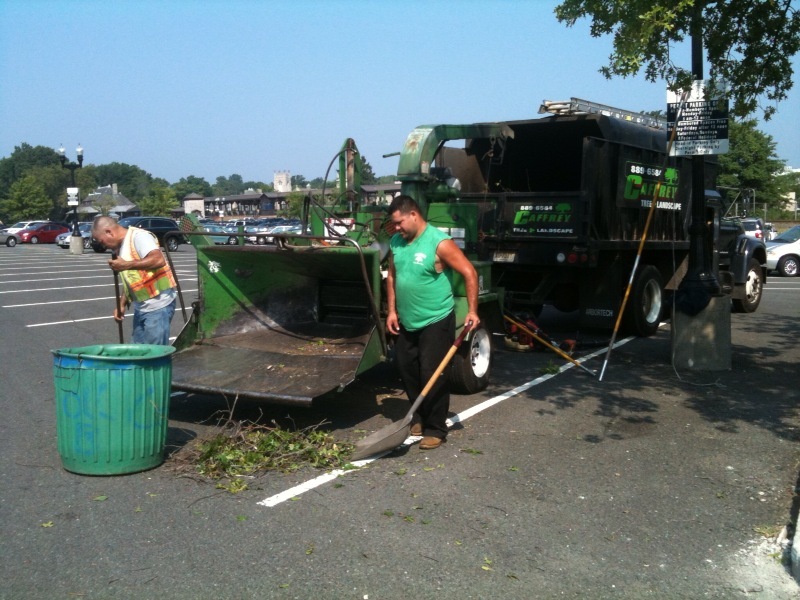 Throughout the community there have been many effective projects to better our environment including (but not limited to); graffiti cleaning, recycling projects, solar panel installations, educational sessions, historic preservations, maintenance and tree ordinances, school gardens, park clean-ups, plant sales, and earth day plantings and celebrations. Though much of Westfield’s development must be credited to the hardworking residents and volunteers of the town, America in Bloom was a push in the right direction. 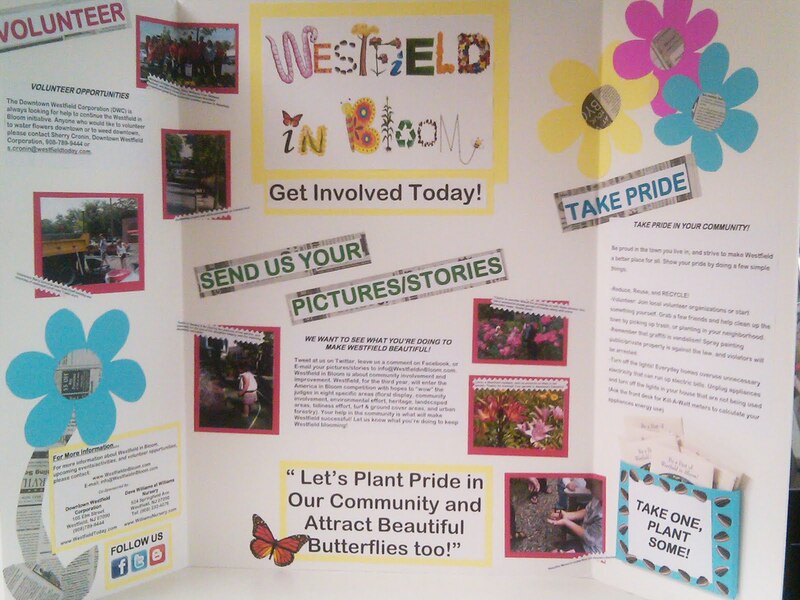 In addition, many of the “Westfield in Bloom” stories and pictures have been assembled in a blog at www.WestfieldinBloom.com. Westfield in Bloom (local AIB name) is about more than gardens and hanging flower baskets. The overall community benefits from the campaign. This program is about education, improvement, and civic pride. With AIB serving as a catalyst in the beautification process, people have more of a reason to get involved. Over the past two years Westfield has seen an abundant increase in plant life due to the promotion and development of ornamental horticulture. With the birth of each community garden there are residents, organizations, and businesses that have joined together to make it all possible. Everyone working towards a common goal creates a better place to live, work and visit. Continuing this beautification process will attract tourism, which in turn can increase property values, jobs, and economic development. America in Bloom has brought attention to the importance of town pride, and has celebrated Westfield as a ‘great place to be’. A huge thank you and congratulations is in order for everyone that has participated in Westfield in Bloom this year and who has helped make our town richer and even more beautiful. Even though the contest is over, keep up the good work! Take pride in the town you live in and continue the amazing efforts you have put forth to make Westfield the place it is today. Sponsored by Two River Bank and The Greater Westfield Area Chamber of Commerce, Westfield's Farmers Market is back every Saturday at the South Avenue Train Station from 8:30 a.m. – 2 p.m. until October 29. A Farmer’s Market offers extremely fresh foods, organically grown produce, and humanely raised meats. It features local produce and ‘Jersey Fresh’ products. The Market offers eco-friendly products that brings townspeople together and creates a real sense of community. 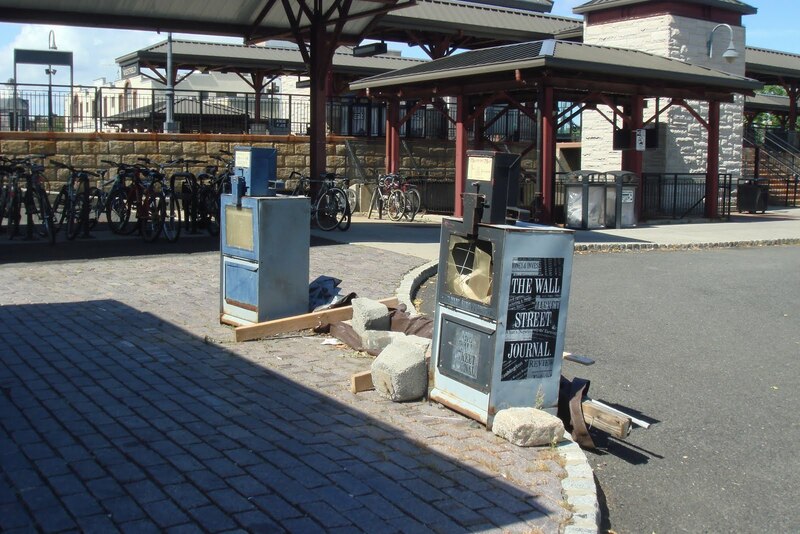 With recent markings of graffiti seen around town the use of paint and other removal materials are being used to get rid of the vandalism. 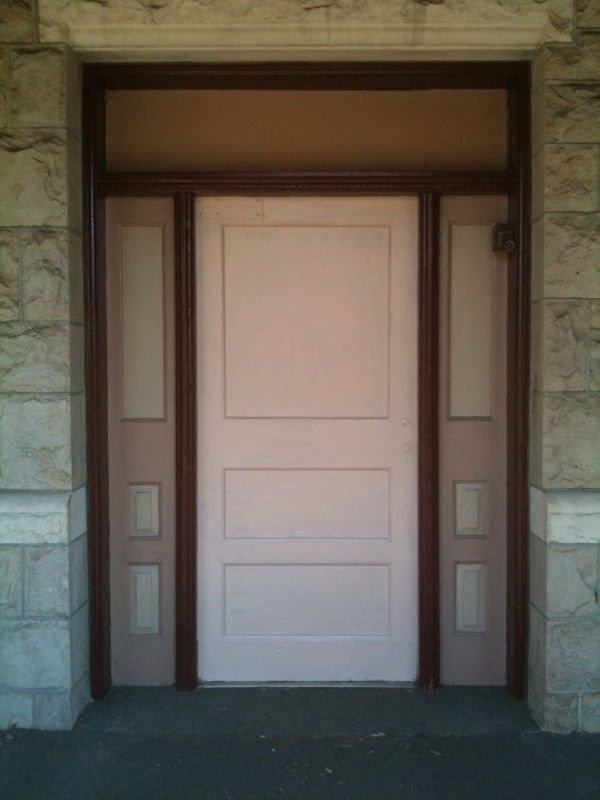 A door at the Westfield Train Station was recently painted over to cover the graffiti. It has come to our attention that a local Department of Public Works (DPW) employee, James Monroe, was seriously hurt due to an accident while on the job. While tending to the town’s WWI memorial, James took a fall off of a truck and is now being taken care of at University Hospital. Being that James Monroe is still as strong as he ever was; the major injuries he has sustained will completely heal. James Monroe is in our thoughts and prayers for his full recovery. PSE+G, a close sponsor and partner of the Downtown Westfield 5k & Pizza Extravaganza, is working to fix all the lights in the downtown area of Westfield. The overhead light poles that keep the streets of Westfield lit during the nighttime are extremely important to maintain. Approximately 50 lights have been repaired so far. 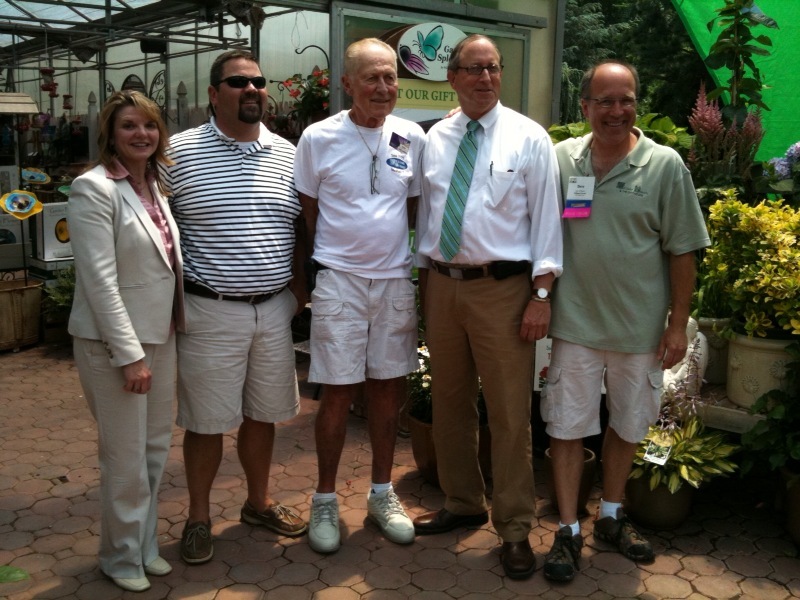 On June 16 the annual Garden Centers of America Tour made Williams Nursery in Westfield one of their official stops. Owner of the nursery, Dave Williams, is president of the national garden organization. 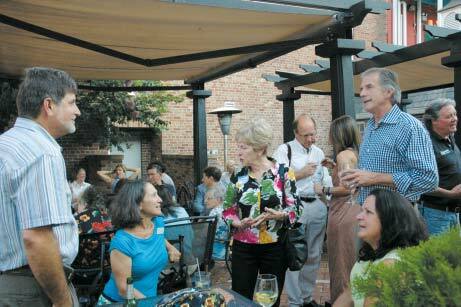 Williams Nursery was one of the 15 gardens chosen to be toured throughout the state. Garden center owners and managers from approximately 100 garden centers from all over the United States came along for the tour. Also present at the tour was New Jersey Secretary of Agriculture, Doug Fisher. During the ceremony Doug Fisher congratulated Dave Williams on being chosen to represent the state. Dave was then awarded with a keepsake of his time as president of the Garden Centers of America. A big congratulation to the Garden Club of Westfield! On June 8th, at the Annual Meeting of the Garden Club of New Jersey, the Garden Club of Westfield won the Moorestown Club Trophy. 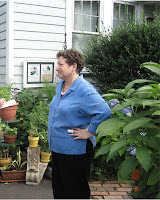 Their submission of a Book of Evidence detailed their Garden Tour in June 2010. The Garden Club of Westfield had been awarded for "actively supporting & working for community gardening outside the club.” Their efforts serve as a catalyst in Westfield’s beautification process. 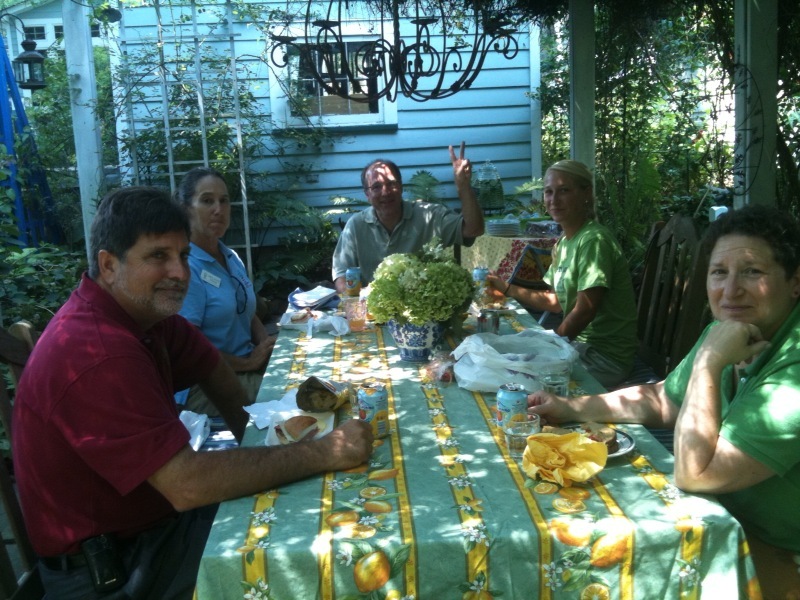 Garden Tours both stimulate and educate homeowners to actively participate in gardening in the community by stabling gardens on their own properties. The club will continue to push for active involvement. 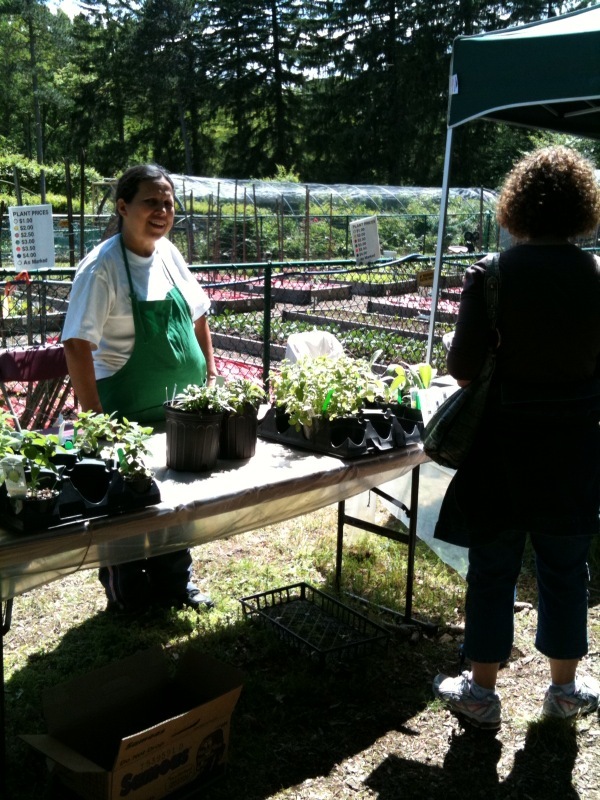 In April 2012 the club will hold a Garden Education Day for the entire community. Thank you Jane Curtis for sharing this story! This year Westfield will once again participate in the America in Bloom competition (locally known as Westfield in Bloom), and we need your help! 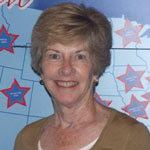 “Westfield in Bloom” is co-lead by Sherry Cronin, Downtown Westfield Corporation, and Dave Williams of Williams Nursery. 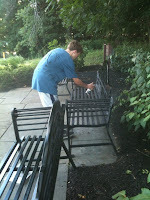 We need YOUR help to make Westfield even more beautiful. Judges come August 1 and 2, and there is still much to be done. This is where you come in. Your individual amount of participation is of course up to you. From landscaping or gardening donations such as soil, flowers or plants to volunteering with watering, weeding, and planting, there are many ways to get involved. While thinking about your options remember; what you put in, is what you will get out. Information on the most beautifully landscaped households is also needed. A part of the judges tour consists of Westfield’s residential areas, pictures and/or contact information regarding your favorite landscape jobs would be greatly appreciated as well. Why should you get involved? Your company is part of the local community and while your main focus is on your business’s success, without a high functioning and thriving community, your business would be clientless. Your community and your customers are not mutually exclusive. As your individual marketing plan is unique to your business, community involvement may be either a major or minor part of your public relations strategy. Additionally, the publicity that you will receive as part of Westfield in Bloom by the various media outlets can help your business in many ways. This may provide more awareness of your company in your target market, which can have a much better financial benefit than a simple tax deduction. 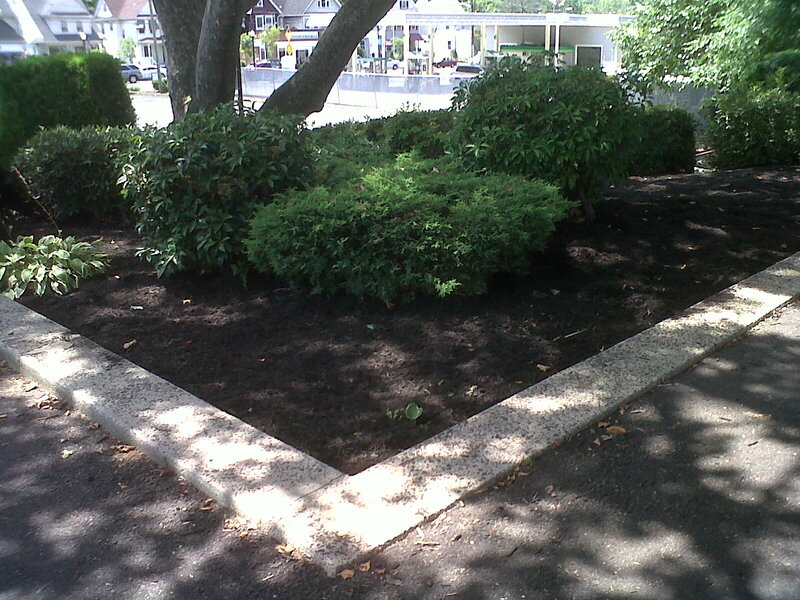 Your efforts will market your business, increase your reputation, and most importantly beautify Westfield. Please contact Sherry Cronin; Executive Director, the Downtown Westfield Corporation (DWC) as soon as possible if you are interested, or need any additional information at 908-789-9444 or by email at s.cronin@westfieldtoday.com. Check out our blog at www.WestfieldinBloom.com. We look forward to hearing from you. Thank you in advance! A big thank you goes out to the members of the Newcomers Club of Westfield working with the Department of Public Works who cut grasses and delivered mulch. 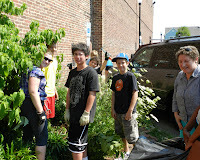 Volunteers from the club weeded the entire back section, mulched the area, and planted Hostas. To continue with Westfield in Bloom efforts to “attract the butterflies” to the town, butterfly plants were planted around the memorial obelisk. 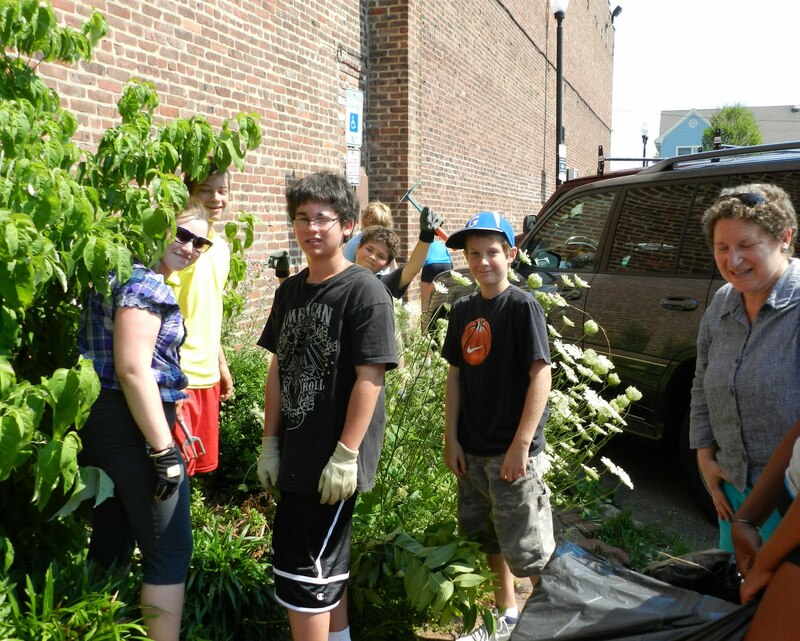 Volunteers like the Newcomers Club of Westfield are what keep our town thriving! Thank you Natalia Goldman for providing us with the picture! 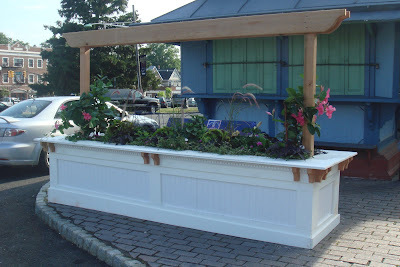 The 2011 Westfield in Bloom project is a continuous effort to beautify the Town. Inspired by Westfield Resident, Diane Genco, this year’s theme involves attracting Monarch butterflies. 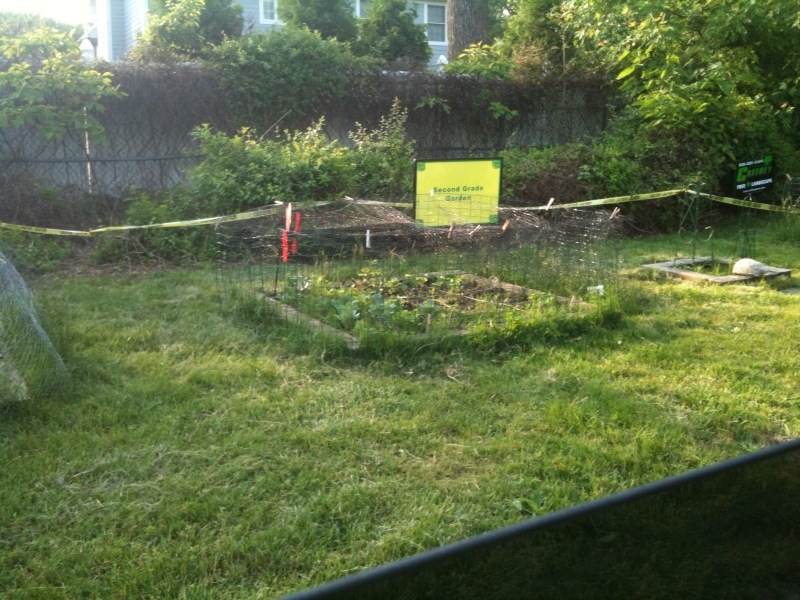 Genco’s green, flower filled backyard is a certified Monarch Waystation. It is here where she raises, tags, and documents the life of a Monarch butterfly. She doesn’t stop here. 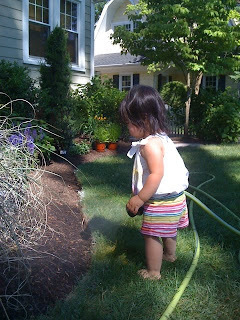 As an executive director, Genco started the campaign for after school students called “Outdoors in the Garden State”. This program gets kids outdoors and connects them with both the community and nature. This year Westfield in Bloom is following in Genco’s footsteps. Local volunteers and organizations have joined forces to plant flowers that attract these butterflies. Westfield in Bloom will focus on attracting these butterflies due to the dwindling numbers of the species. Not only are butterflies aesthetically pleasing, but they will also serve as pollinators for Westfield’s plant life. A special thanks to Diane Genco for providing us with the picture of her beautiful granddaughter! 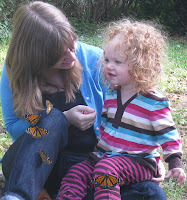 We only hope others can share the same joy of the Monarchs! After last year’s four bloom rating and two awards, the Downtown Westfield Corporation (DWC) and David Williams of Williams Nursery have expanded their efforts for the National America in Bloom Competition, locally known as “Westfield in Bloom”. As part of the kickoff to this year’s competition, team members of Keller Williams Realty again joined forces and donated a garden to Westfield as part of their National RED (Renew, Energize, Donate) Day. 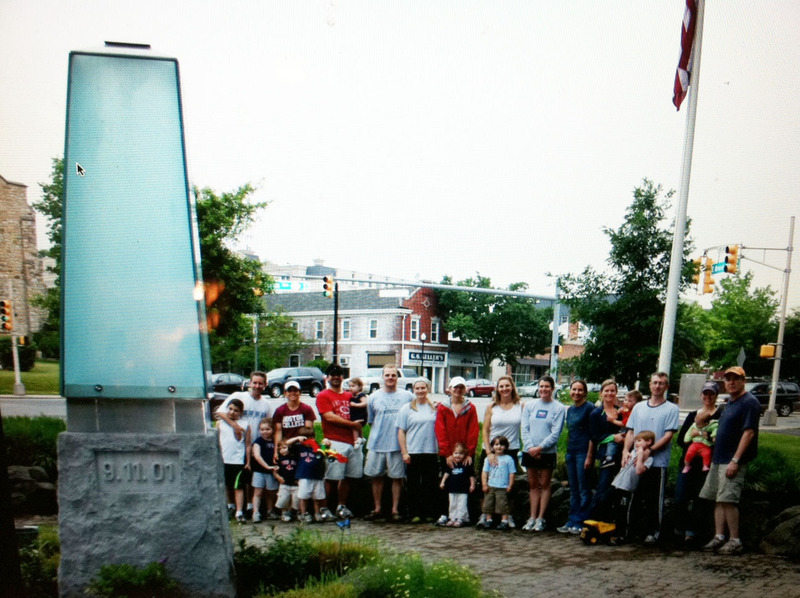 Last year, Keller Williams Realty donated and planted the beautiful rose garden at the North Avenue Train Station. This year, Keller Williams Realty donated and planted the entrance to the large municipal on Elm Street, (near Trader Joe’s) by planting perennial sedum plants with an additional goal to attract butterflies too! Of the 28 towns which participated in last year’s competition, Westfield NJ has received two of the top prizes in the competition. In order to compete in America in Bloom, Westfield’s community will be scored and judged based upon eight criteria: floral displays, tidiness, landscaped areas, urban forestry, heritage, community involvement, turf and groundcovers, and environmental effort. Working to receive the same gratification this year, businesses, individuals and organizations are encouraged to participate with their own plantings and beautification projects. Participants in ‘Westfield in Bloom’ may also compete for awards in categories such as: Best Window Boxes, Best Storefronts, Best Planters, Best of Westfield, Best Kid's Gardens, and Best Gardens. 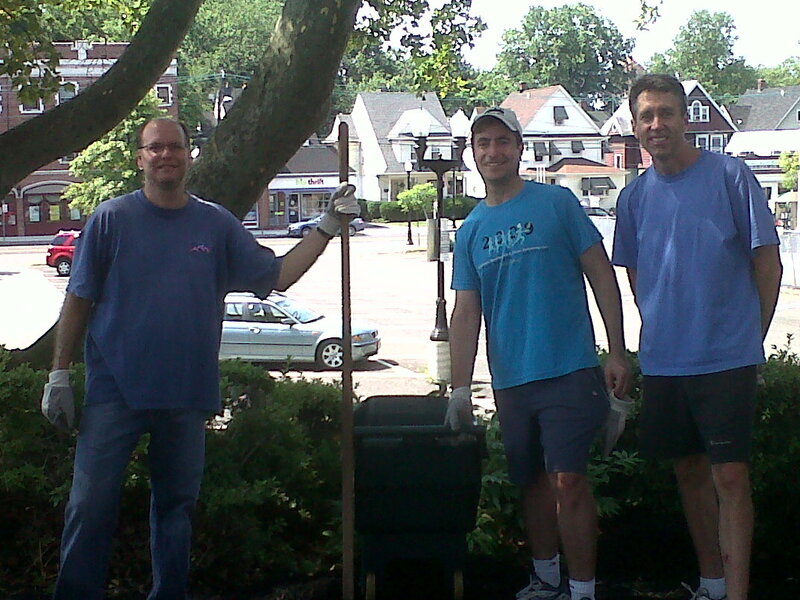 Having the community get involved not only helps Westfield Bloom, but instills a sense of pride in the community. This year’s theme of ‘Attracting the Butterflies’ presents a new goal for the team. Inspired by Diane Genco, local resident and host of a certified Monarch Waystation, Diane has been an active supporter in “Westfield in Bloom”. Diane has been teaching the community about butterflies and gardening for many years. 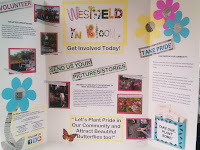 Westfield in Bloom’s theme is to attract monarch butterflies due to the dwindling numbers of the species. These butterflies will also serve as pollinators for Westfield’s plant life. Free ‘Westfield in Bloom’ butterfly mix seed packets are available at the Downtown Westfield Corporation office at 105 Elm Street, as well as Williams Nursery, 524 Springfield Avenue, Westfield, NJ. Photo by Millicent K. Brody. 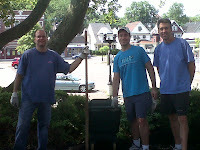 Photo caption: As part of their national RED (Renew, Energize, Donate – Give Where You Live) Day, Keller Williams, the second largest real estate company in America, associates worked with Dave Williams of Williams Nursery and Sherry Cronin, Downtown Westfield Corporation for a ‘Westfield in Bloom’ project. Keller Williams associates included: Cara Moxley and Howard Bunn, Operating Partners of the Summit Office and Amy Tenny, Team Leader. Associates included: Robert Winter, Jen Colamedici, Teri Malone, Pat Marlinski, Jen Lovito, Susan Powell, Beverly Caldora, Susan Massa, Maureen Illanovsky, Jerry Illanovsky, Mike Cain, Laura Brockway, and David Lluberes. 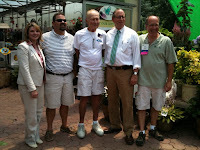 Westfield is gearing up for the annual America in Bloom competition (locally known as "Westfield in Bloom". Throughout the coming months, residents, businesses, and organizations should submit their photos and stories of their own beautification efforts. 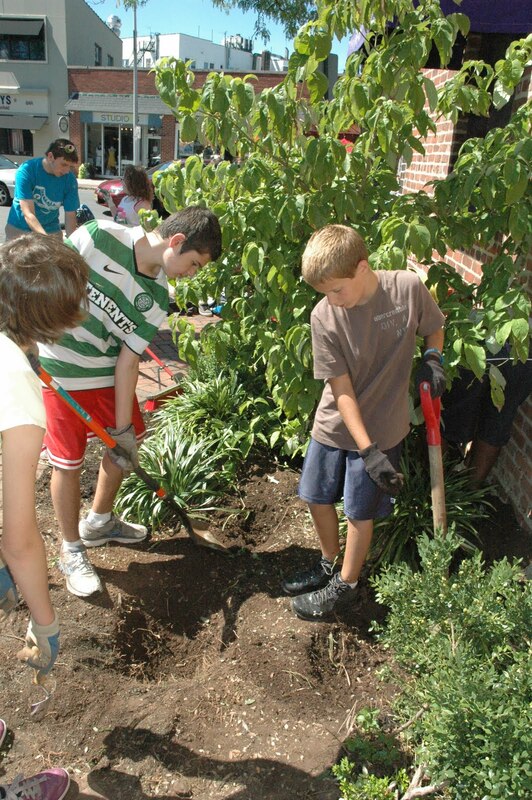 Downtown Westfield Corporation and Williams Nursery, co-leaders of the effort have already begun planting projects. New planters around downtown storefronts will soon emerge from the greenhouse. 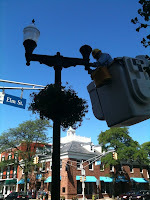 Baskets along Central Avenue and around selected light poles will also be planted for the floral display category. There's still time to enter our contest! Although the America in Bloom judges visit was in July, Westfield will not know how we scored in the competition until September 30 - October 2 at the 9th Annual America in Bloom Symposium & Awards Program. 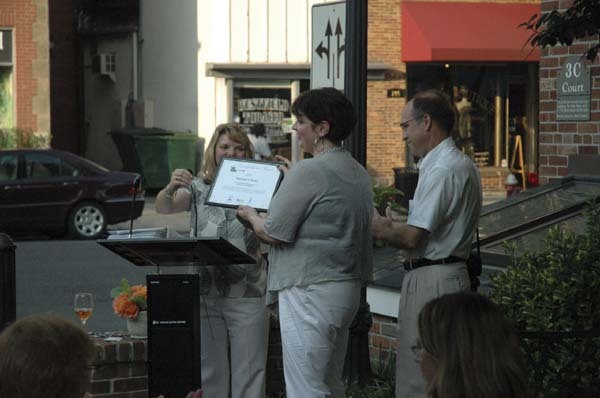 At that time, Downtown Westfield Corporation and Williams Nursery plan to announce 'Westfield in Bloom' entrants and winners of the following categories: Best Window Boxes, Best Storefronts, Best Planters, Best of Westfield, Best Kid's Gardens, and Best Gardens. Gift certificates from downtown businesses and Williams Nursery will be given to winners in each category. There's still time to enter! Send your photos and stories of your beautification projects to info@westfieldinbloom.com or post your ideas and beautification efforts to the Westfield in Bloom facebook page. 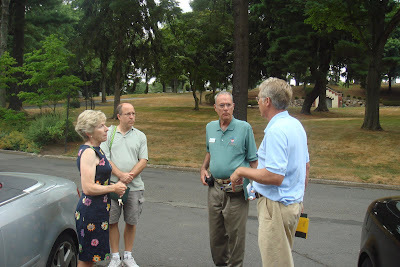 Photo: Barbara Vincentsen, provided a tour of Fairview Cemetery and its' beautiful picturesque 105 acre grounds to Dave Williams of Williams Nursery, Marlborough Packard, America in Bloom judge, and Bruce Riggs, America in Bloom judge. Volunteers always needed and appreciated! 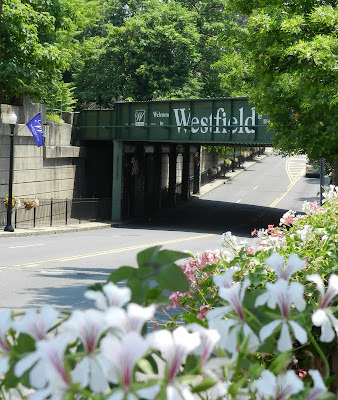 Anyone who would like to volunteer to water flowers downtown or to weed downtown, please contact Sherry Cronin, Downtown Westfield Corporation, 908-789-9444 or s.cronin@westfieldtoday.com. With all the heat, we could use some extra hands. We appreciate it to keep downtown looking great!! Thanks!! Just a quick note. I'm at the Downtown 5k race and Pizza extravaganza with a booth promoting the Westfield in Bloom garden and flower competition. I'm also handing out coupons for 30% off any one item at Williams. Stop in and say hi! And tell me if you like all the flowers around town. Thanks to Sandra S for sharing the pictures of her garden, and especially for the one of her daughter helping with the watering. Absolutely adorable! 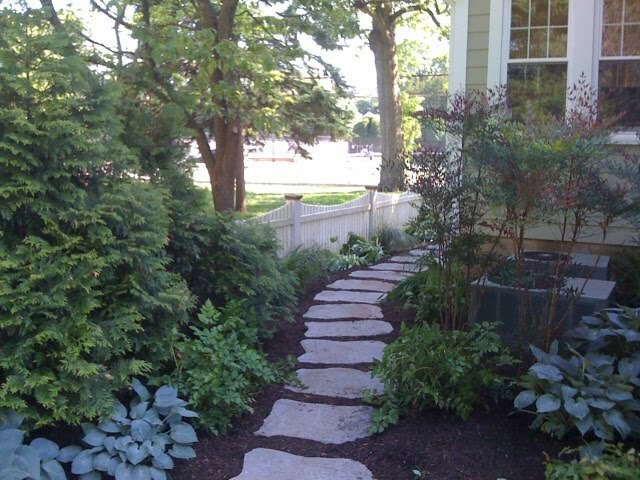 Great path and garden, too! Special Thanks to Donna Perch, Coldwell Banker, Galaxy Building Contractors, Westfield Lumber and Williams Nursery for adding this great flowering addition to to the South Ave Train Station. 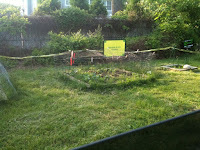 Also special thanks to Fafard Soil for providing the soil for the planter.